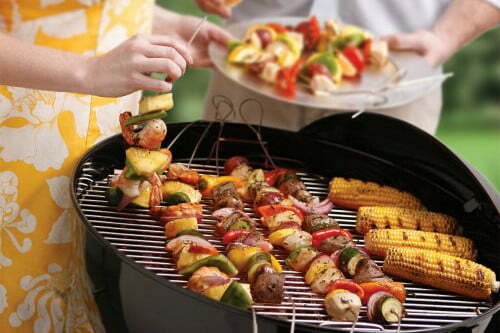 It’s nearly summertime, which means barbecue season will soon be in full swing across the country. That being the case, we figured we’d round up a few of our favorite high-tech cookout contraptions for you, so you can get your grilling situation in order. Feast your hungry eyes on these drool-worthy grilling gadgets. Who says your cookouts have to be confined to your backyard? 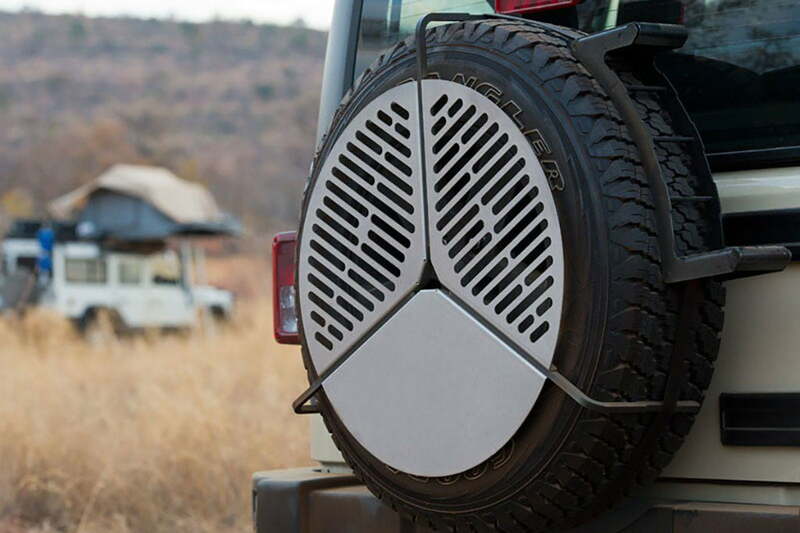 With this cleverly designed grill from Front Runner, you’ll always be prepared for a backcountry BBQ, no matter where in the world you happen to end up. Once you’ve got a fire started, you simply place this grate atop the flames and start cooking. The grate’s three integrated legs hold it above the coals and also ensure that you’ve got a large, sturdy surface to cook on. 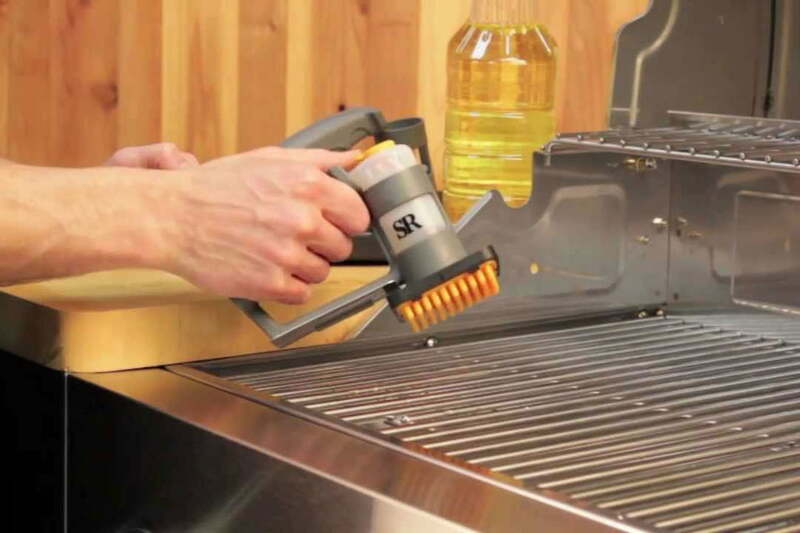 Keeping your grates well oiled is the best way to make sure your food doesn’t stick, and the Steven Raichlen Grilling Grate Oiler makes it easy. 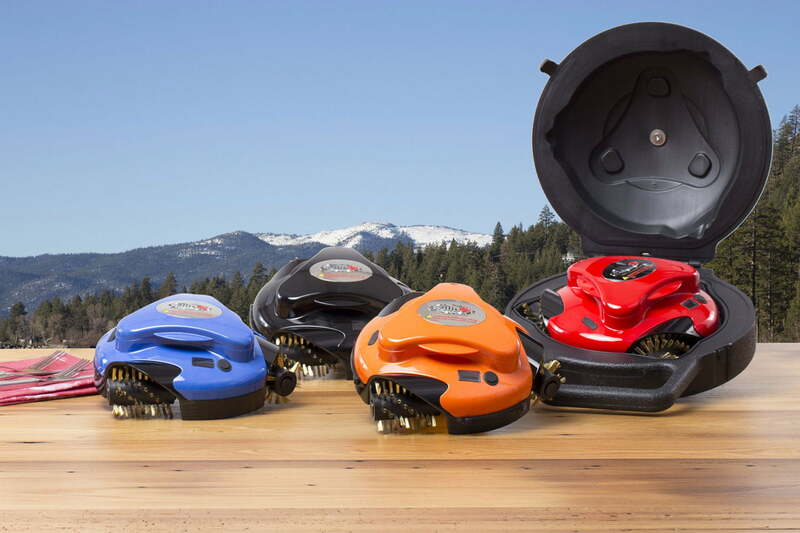 Its design combines a grill brush with a small reservoir for the oil, letting you get solid coverage with each swipe. It’s even made from temperature-resistant plastic and silicone and is dishwasher safe for easy cleanup. Grilling is awesome, but cleaning all the blackened, caked-on food goo afterward? Not so much. Fortunately, we live in a time where robots can perform most of the menial tasks we hate doing, and much like vacuuming and cleaning the gutters, grill maintenance can now be performed by a robotic underling. Just pop this little bugger on top of the grates when you’re done cooking, and he’ll go to work picking up all the baked-on burger bits you left behind. 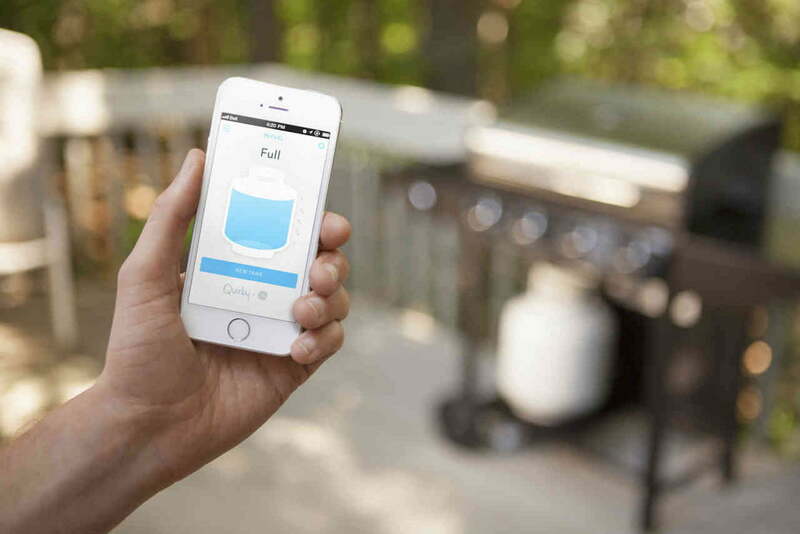 Ever wished you could bark orders at your grill like you do with Siri on your smartphone? Well good news: With the Lynx Smart Grill, you totally can. 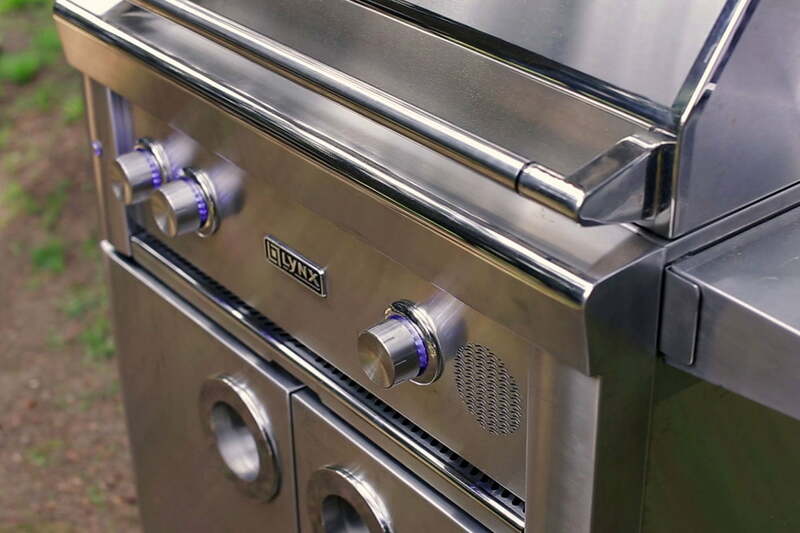 Under its sleek chrome exterior, this beast boasts a slew of high-tech features — including temperature sensors, automatic heat controls, and voice recognition. That means you can scream “Make me a steak!” from the comfort of your patio chair, and the grill will take it from there. Read our full review here. Cooking your food over an open flame generally imparts a little bit of smoky flavor into it, but if you want more of that delicious smokiness, you need to get yourself a smoker box. Fill this sucker with dampened wood chips and toss it on the grill, and after a while, it’ll begin to fill your grill hood with smoke. It’s not quite as good as putting your meat in a full-on smoker, but it’s a good, cheap substitute! 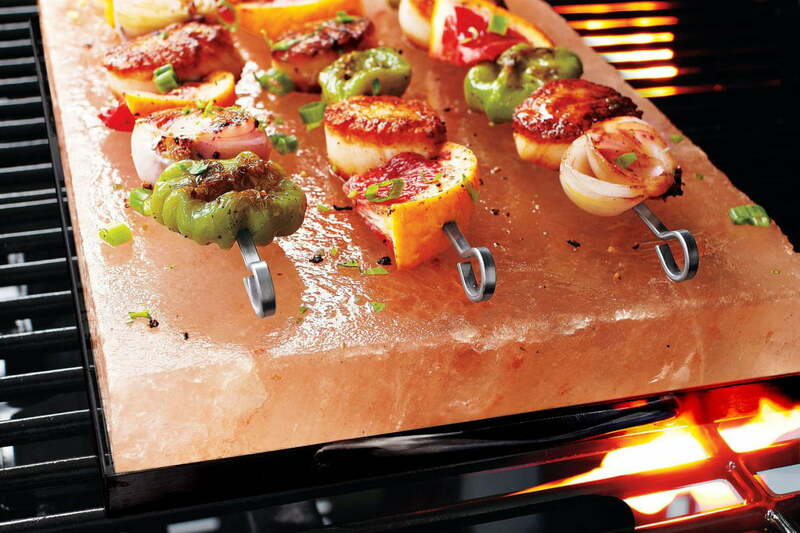 If you can muster the courage to leave your meat off your perfectly seasoned grill grates, we highly suggest you try cooking your next meal on a block of Himalayan rock salt. It might just be our favorite new way to prepare food. The idea is fairly straightforward. You start by slowly heating a slab of salt on your grill, and once it’s up to temp, you just drop whatever you’re cooking on top and watch it sizzle for a few seconds. Because of the block’s unique composition, it imparts your food with a subtle hint of mineral saltiness that’s absolutely fantastic. For certain meats, there’s a fine line between cooking something to perfection and endangering everyone at the cookout. So, if you’d rather err on the side of caution and know for sure that your food has reached a safe temperature, you need to snag yourself a grilling thermometer. 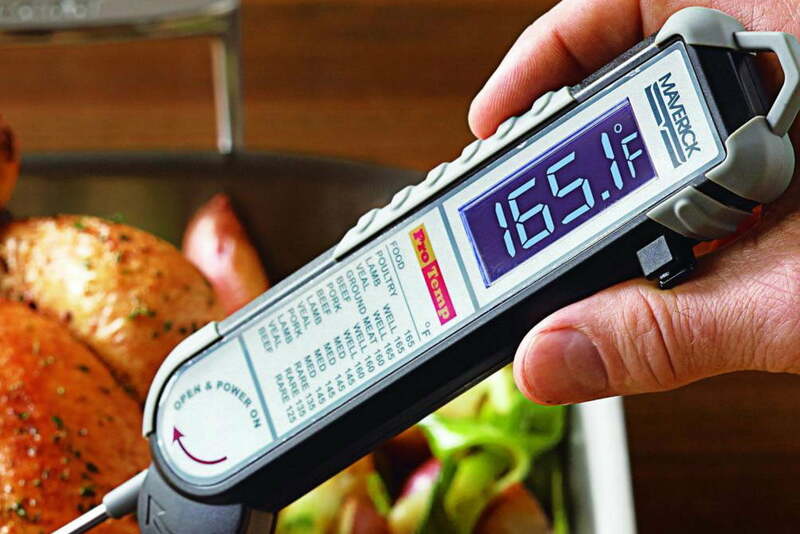 This particular model from Maverick is designed give you accurate readings in the blink of an eye, so you don’t have to hold your hand over the grill for too long and singe the hair on your knuckles. 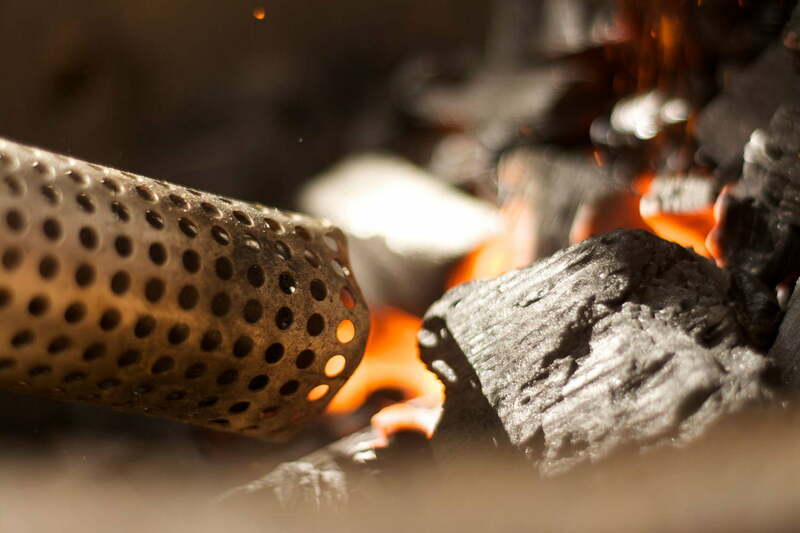 Invented by a company from Sweden, Looftlighter uses a continuous blast of superheated air to ignite your charcoal without the help of matches or lighter fluid. 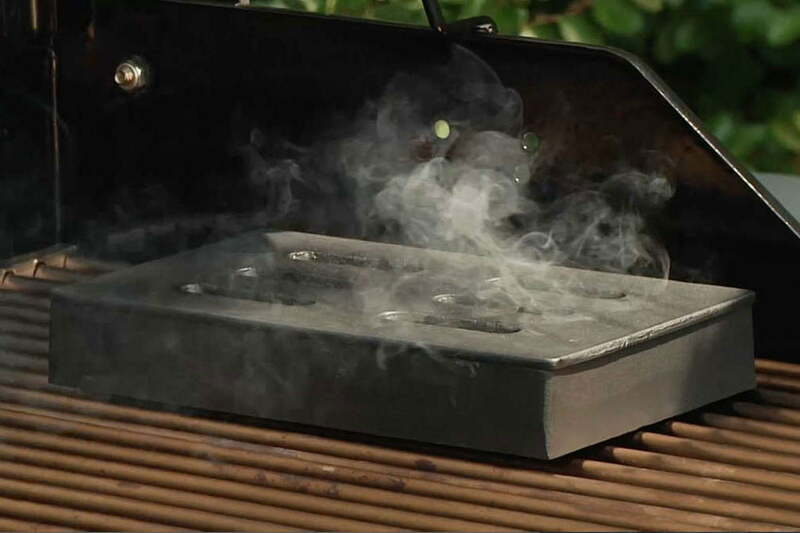 It can also be used to “fast forward” your charcoal briquettes and get them up to grilling temperature in just a few minutes. Sure, you can achieve the same result with one of those old-school charcoal chimneys, but this gizmo has a lightsaber-like design, which ups the fun factor considerably. 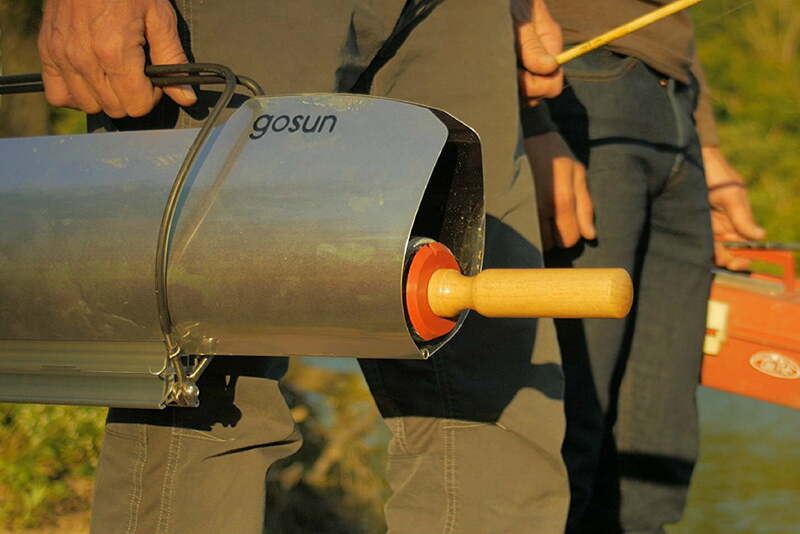 If you’d rather not mess with charcoal briquettes or propane tanks at all — and also happen to live in a section of the globe that has fairly reliable sunlight — check out this solar grill from GoSun. This model can produce up to 550 degrees of heat, which is more than enough to cook your favorite meals. At just eight pounds, the Solar Cooker is exceptionally portable, unlike many of the bulkier solar stoves on the market. A kabob is a classic grilling go-to, however traditional skewers can be rather hard to work with — especially on a full grill. These flexible skewers allow you to easily adjust the arrangement to more easily fit around or between your other foods. Vegetables can can sometimes fall through the grates, wasting precious asparagus. Thankfully, these clips from Charcoal Companion allow you to flip your vegetables all at once, rather than painstakingly turning each cut. 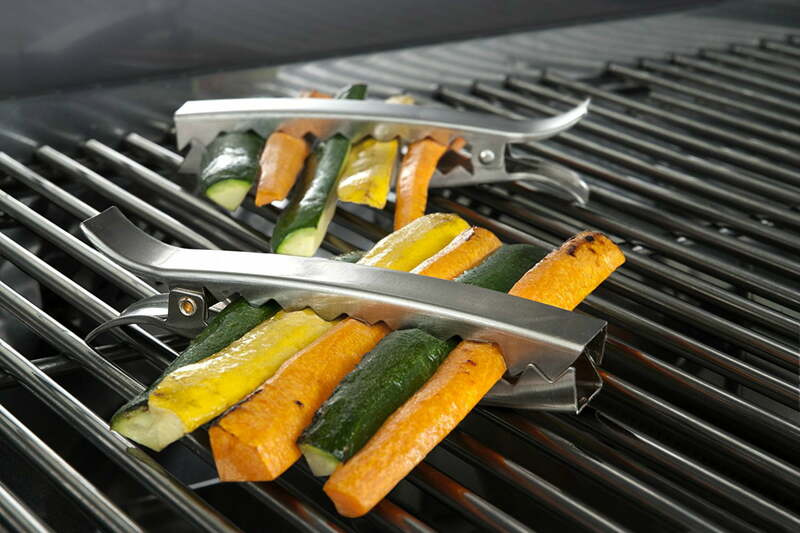 These clips also keep the vegetables just above the grill surface to minimize sticking. This story was updated on June 15, 2018 to reflect new pricing and availability of items.